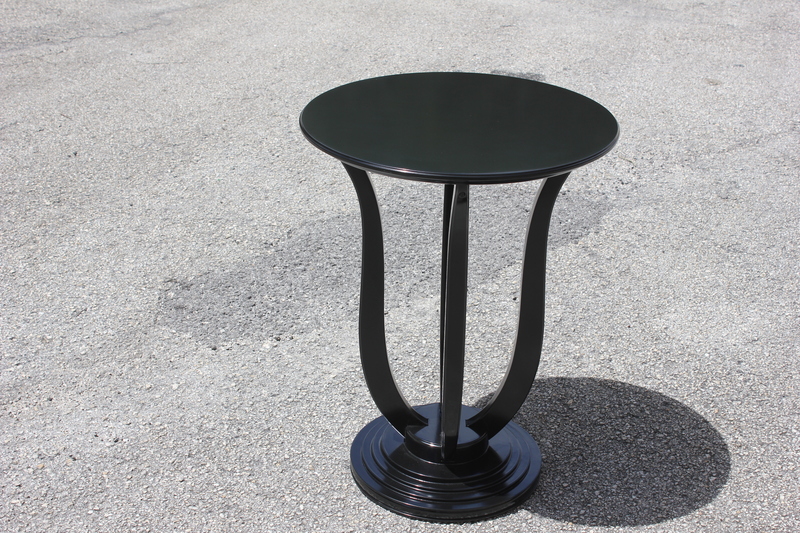 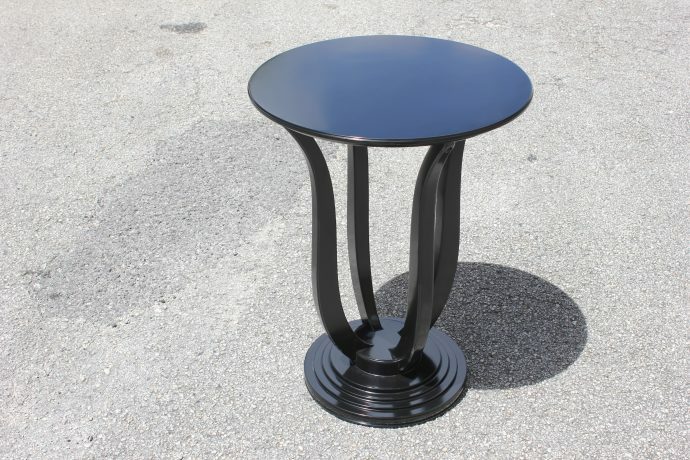 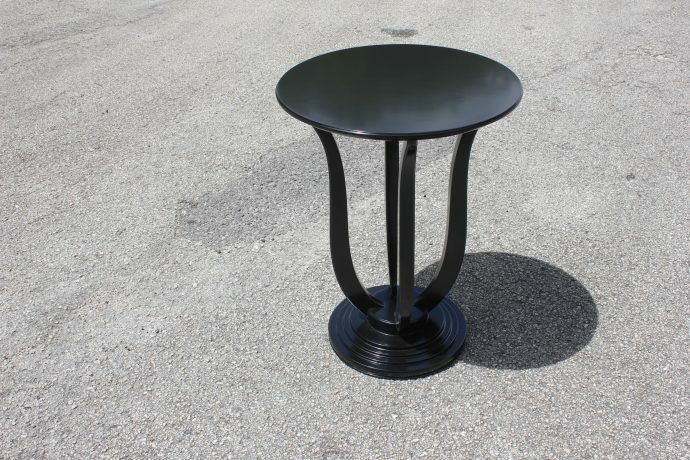 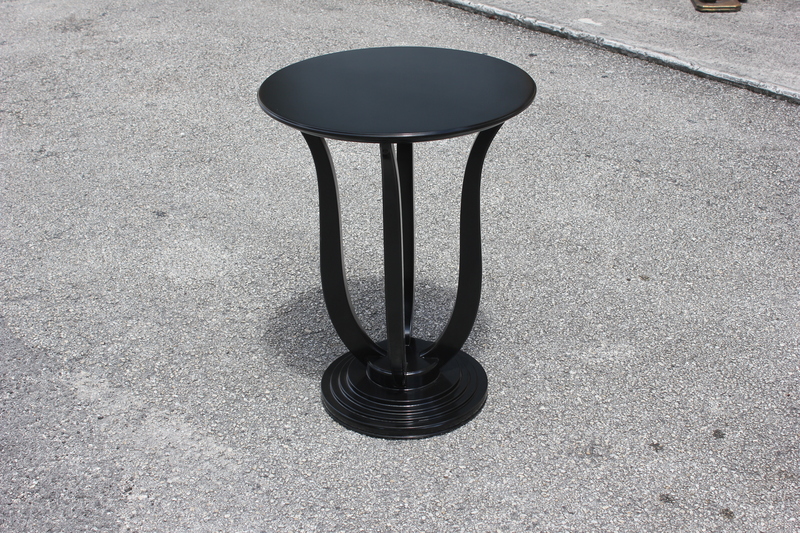 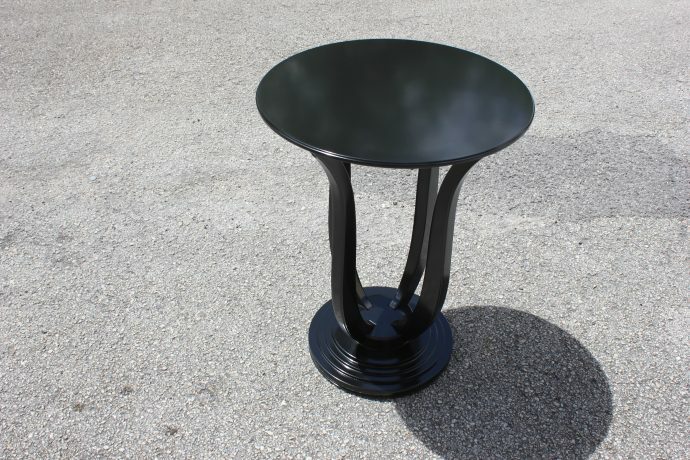 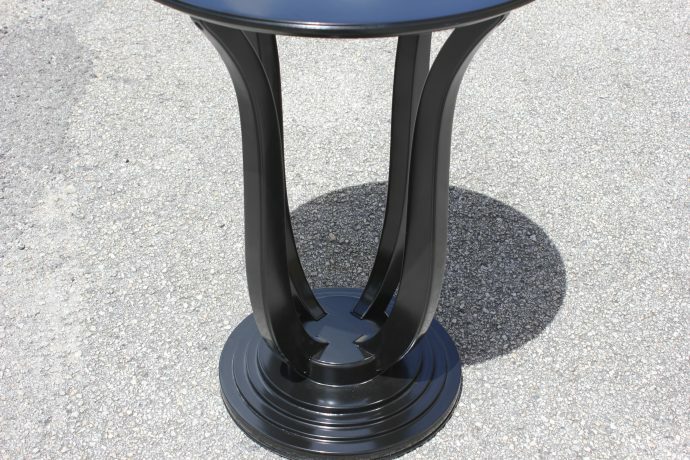 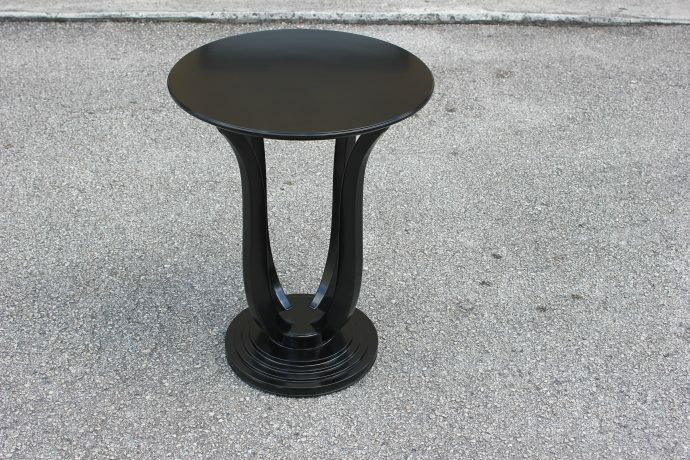 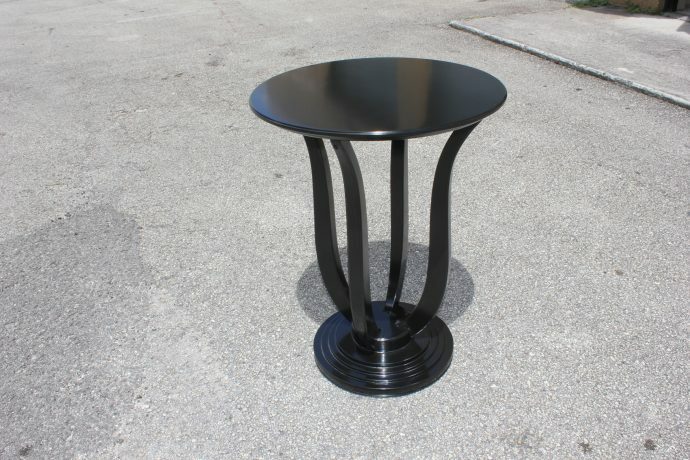 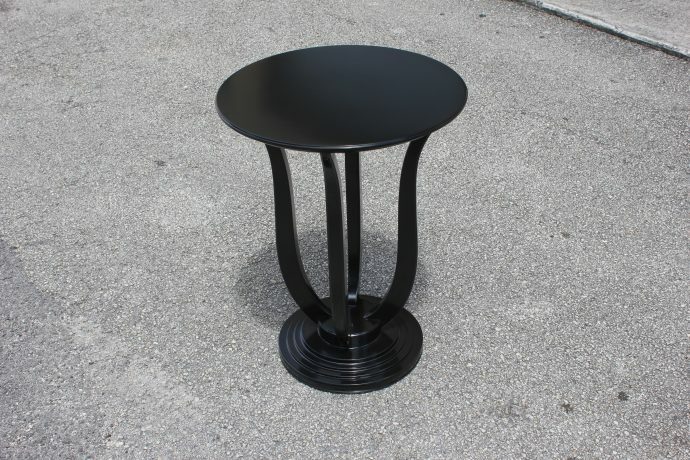 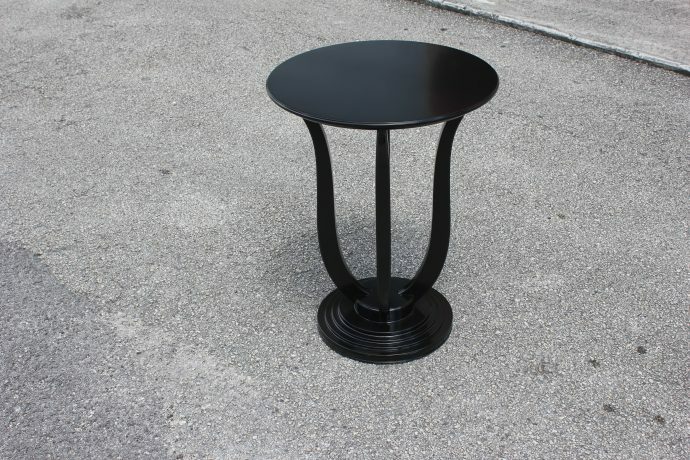 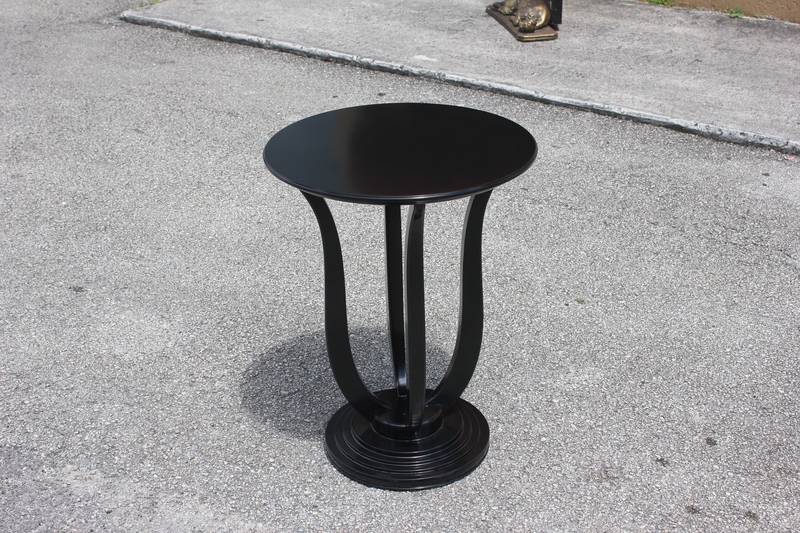 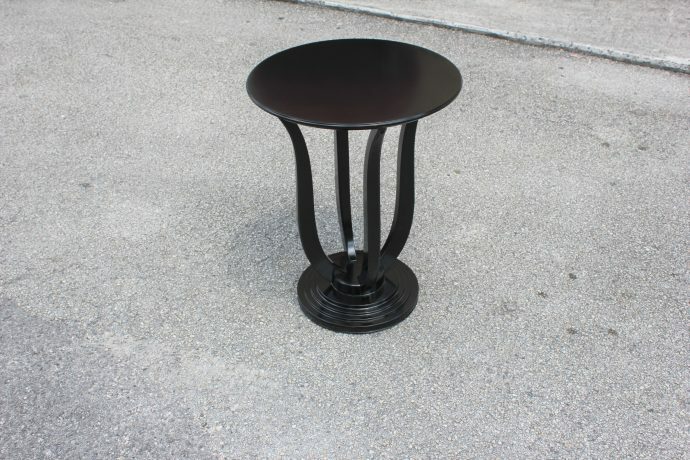 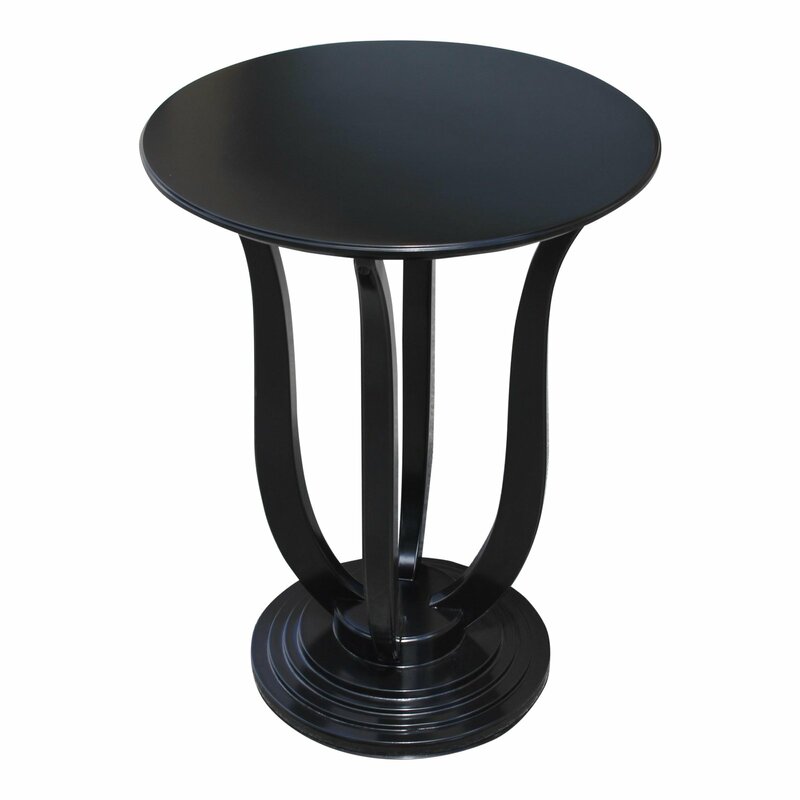 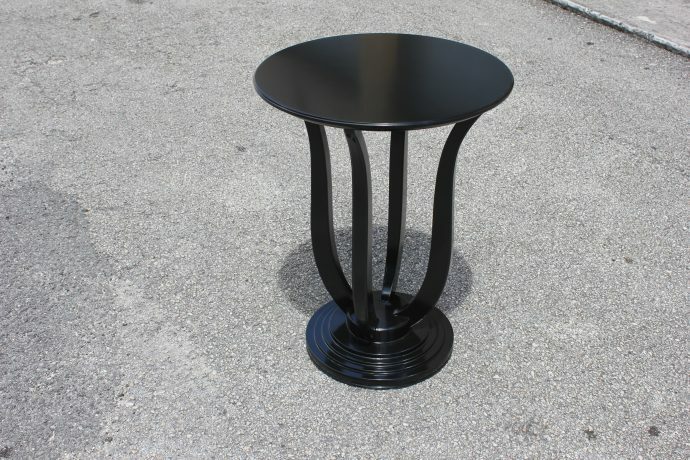 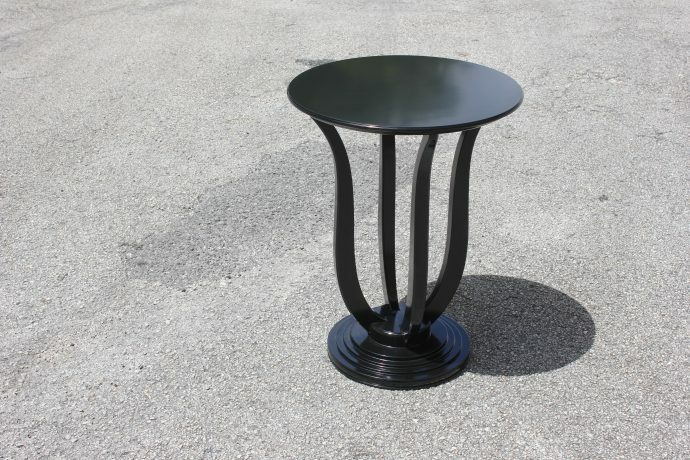 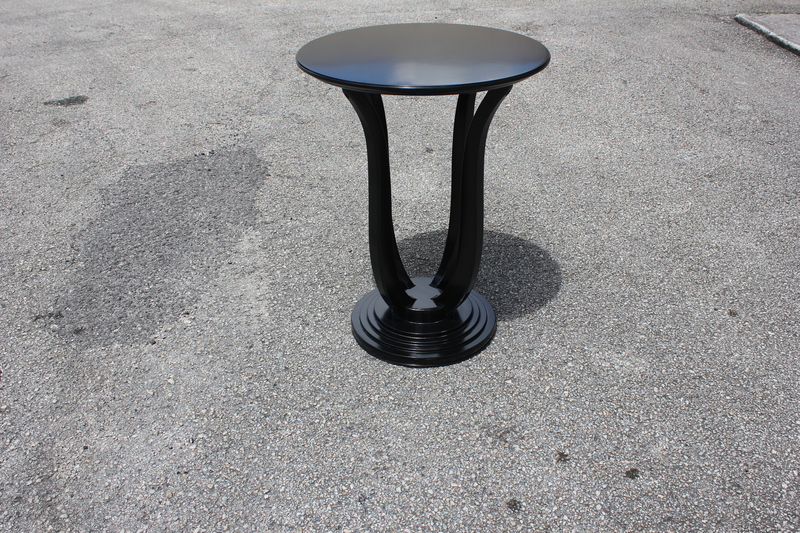 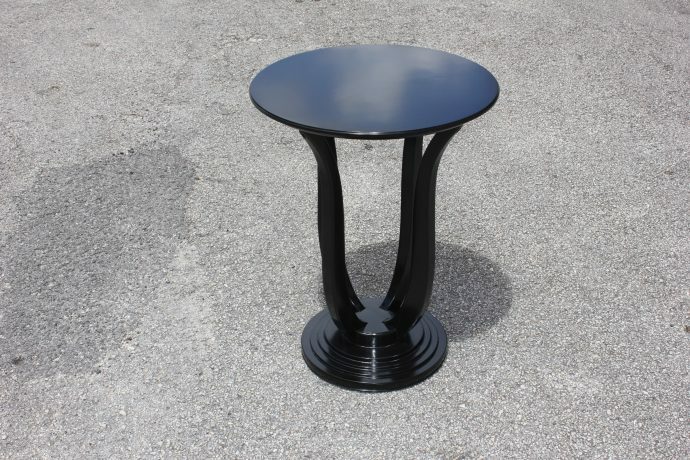 Beautiful Pair of French Louis XV Ebonized Side Table Circa 1910s. 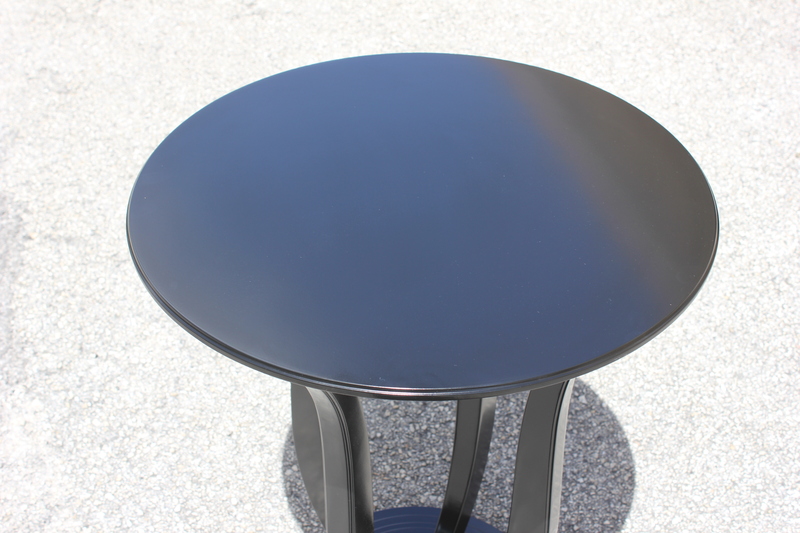 Once you're ready to make a purchase, simply give us a call. We're happy to help assist you with shipping arrangements by either parcel service (FedEx, UPS, USPS) or delivery carrier. 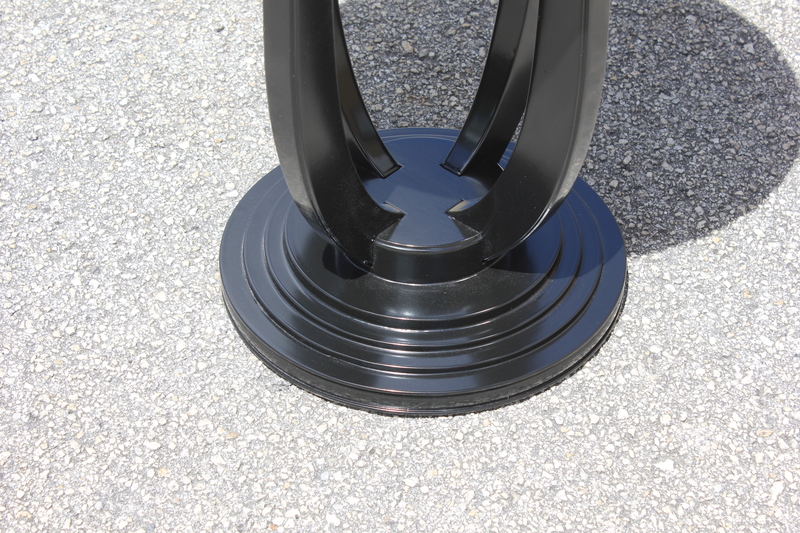 Many of the items on our website require special packaging and handling or white glove delivery. If you would like a shipping quote prior to purchase, please call us at + 1 (786) 306-0211, drop us a note at mailto:frenchdesigninc@msn.com or use the form below and we'll happily answer all your questions. 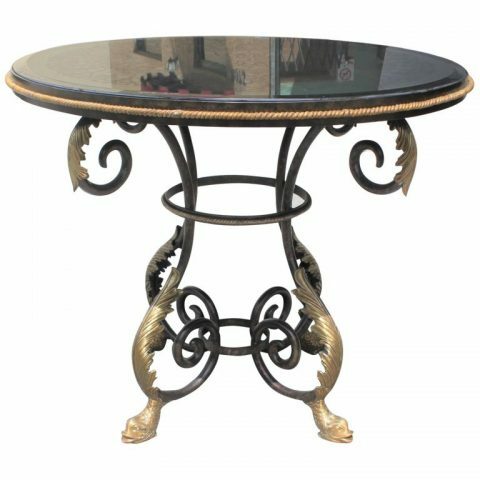 Tall Neoclassical Iron Center Table Eglomise Mirror Top Dolphins Feet. 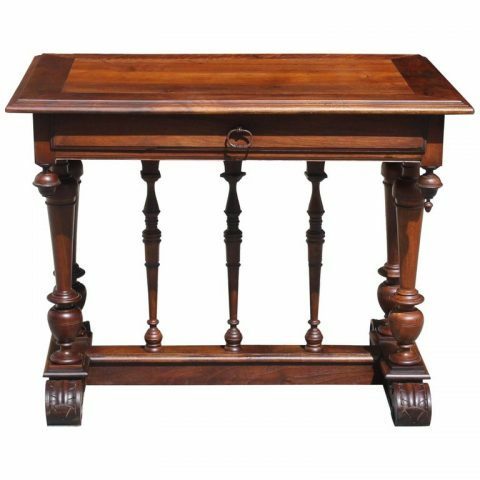 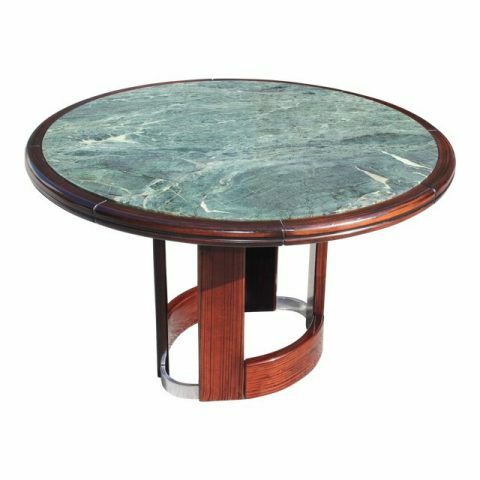 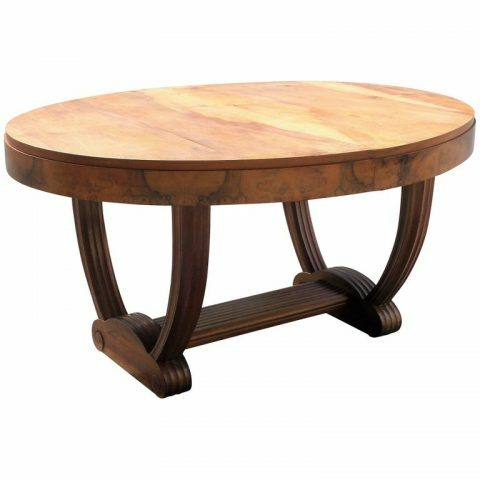 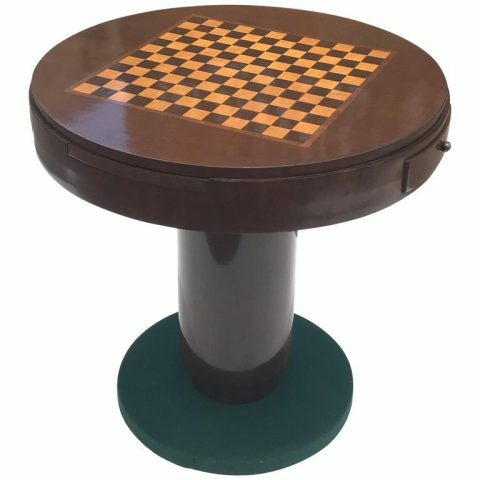 French Art Deco Solid Walnut Oval Dining Table ”U” Legs Base, circa 1940s.